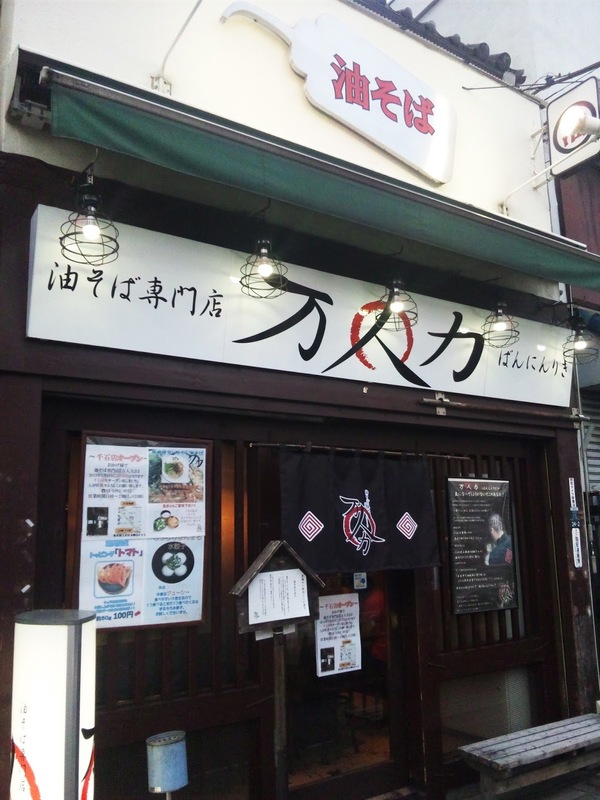 Every now and then you come across a ramen shop that is really into creating a instantly recognisable brand, and with T-shirts for sale for ￥3500 and a simple yet deceptively difficult to read name - is that Banjinriki? - written on everything, Banninriki is one of these places. There's also an interesting counter here with a walkway for the staff through the middle that kind of resembles a kaiten zushi restaurant. 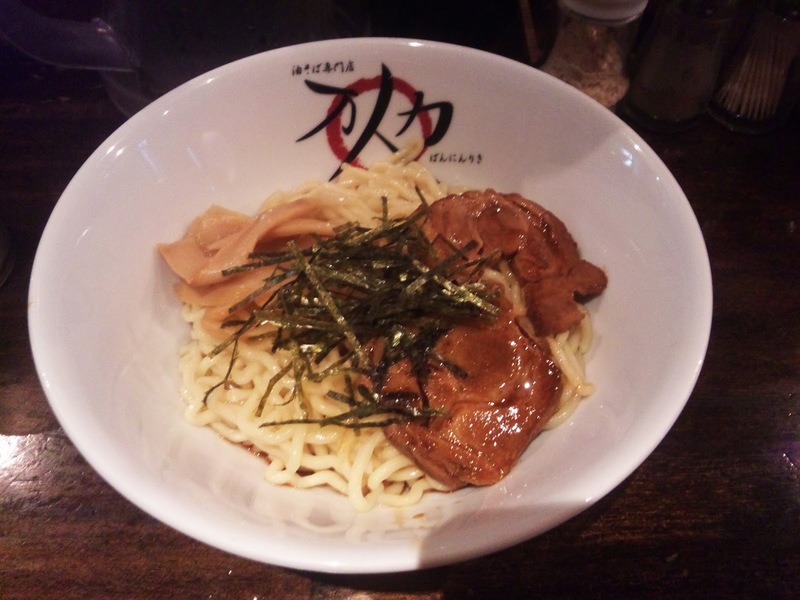 Commonly with abura soba you are expected to mix in a little vinegar and raayu, chili oil to keep the noodles moist. The recommended amount at Banjiriki is to squeeze while making 1.5 revolutions. That seemed to be an optimal amount as I thoroughly enjoyed this one.